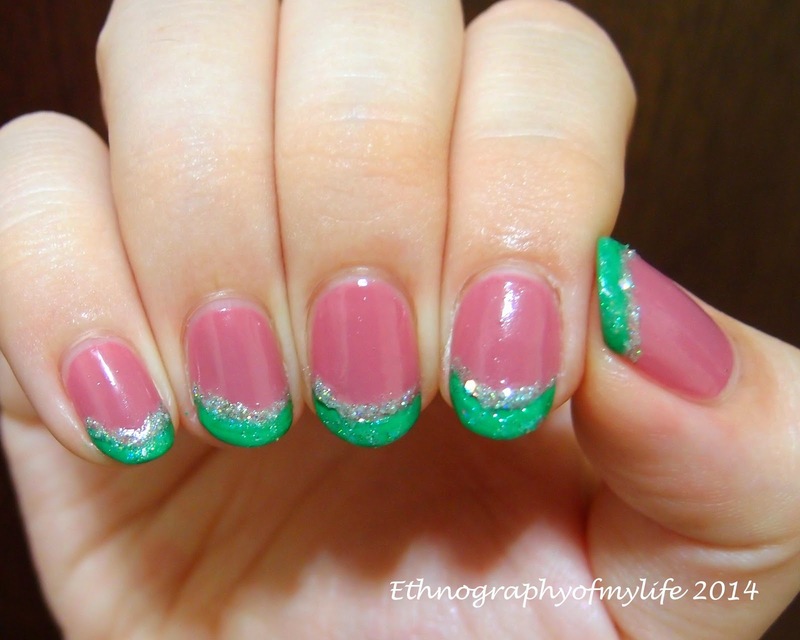 Don't know how to name this mani, but the color is sort of like watermelon combo to me! I don't know the picture is a bit blurred, but Sweetheart Cocoa is one of my favorite color, I sometimes want to wear it alone. I did a simple green French tip and used Grass of Angel to mark out the line. I have to say that Grass of Angel is not very pigmented. It supposes to be a green glitter but it's more towards clear. I have mix feeling about this glitter. I put too much Grass of Angel and still the color is not shown. It creates unevenness on the surface which I feel a bit disappointed.